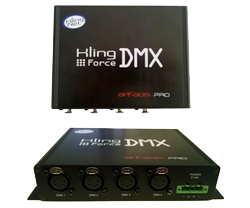 Compact Plug and Play Kling-Net controllers. 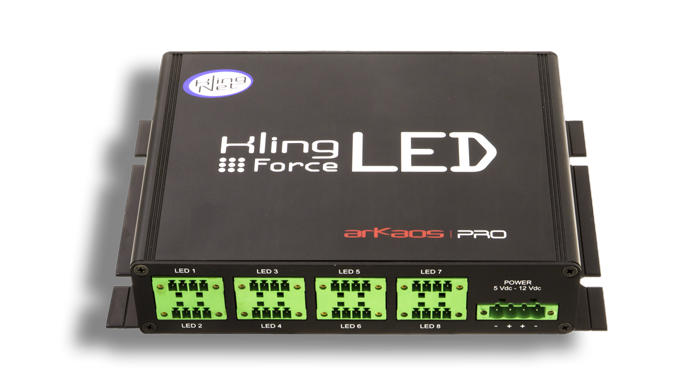 Kling-Force is the new hardware platform built by ArKaos, around the combination of a powerful processor and a hardware network switch. 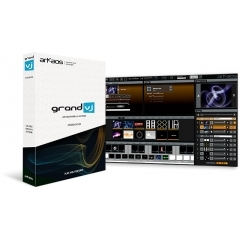 It creates a robust and efficient Kling-Net network. This platform is daisy chainable to distribute video over Ethernet via plug and play and no complex setup is required. 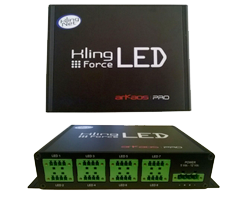 ArKaos introduces this new platform with two different interfaces: Kling-Force DMX and Kling-Force LED. 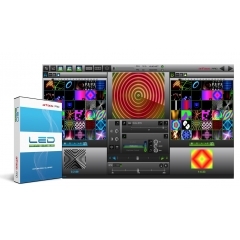 Kling-Net brings LED lighting within reach of the smallest clubs and venues by making it less technical and less expensive LED lighting is now easy to use and cost effective; thanks to the Kling-Net protocol you no longer have to use expensive devices to obtain sophisticated control.